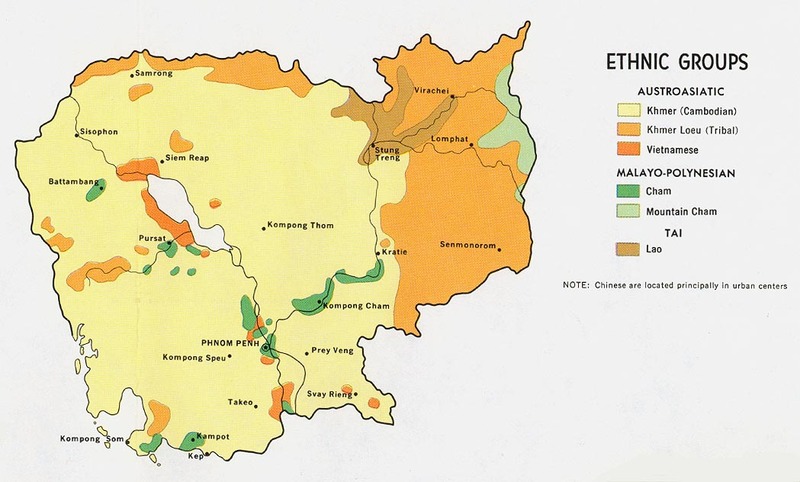 Included as part of the Han nationality, the Hainanese are descended from Chinese who migrated from Fujian at various times over the last 15 centuries. Hainanese is related to the Min Nan language. However, this language has changed in such a way that it is no longer understood by other Min Nan speaking peoples. Hainanese is also called Qiongwen. Qiongwen is widely spoken throughout 14 counties and cities of Hainan Island. Most Hainanese are bilingual in Mandarin, while many can also speak Cantonese. Chinese peoples like the Hainanese have a long history of migrated to Cambodia as well as other countries in Asia. Those from Hainan Island began to migrate to Cambodia in the early 18th century when one of their leaders established a trading post. More Hainanese traders arrived. A large number of them were trading peppers by the end of that century. Many owned pepper plantations. In the 1950s some Hainanese moved to Phnom Penh where they established a monopoly on the hotel and restaurant businesses. Those with less means opened shops where they sold hats or did tailoring. Today many Hainanese people live in Cambodia's Kampot Province. One can find a large number of them in Phnom Penh. They work hard, rarely taking time off from work. They have distinguished themselves as experts in the food catering business. Many manage coffee shops, Chinese noodle houses, and other businesses in the food industry. Parents encourage their children to study hard in school. With much of their time spent in school or at work, the Hainanese have little time for entertainment or socializing. Many Hainanese in China and Cambodia are secular, but they have their own traditional spiritual practices. Some worship a territorial spirit called Bentougong. Their worship ceremonies involve spirit possession and tongue cutting. After slicing their tongues, they lick pieces of paper that have a symbol of fortune or blessing. They then hang this amulet above the door of their homes or in their shops. They believe that Bentougong will then bless their families and businesses with good luck and prosperity. Like other Chinese peoples, they frequently have a wall in their homes with altars to various spirit beings. 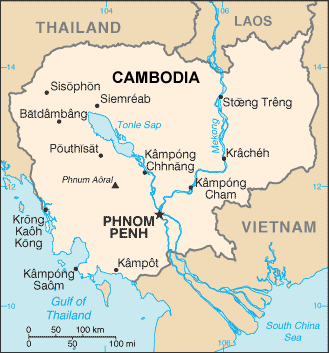 The Hainanese people in Cambodia are being reached with the gospel; pray that their hearts will be open so there can be a disciple-making movement among them. 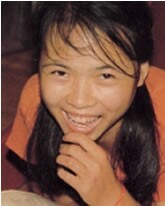 * Pray for a "Book of Acts" type of movement to Christ among the Hainanese people in Cambodia. * Pray for the Hainanese people to understand and embrace that Jesus wants to bless their families and neighborhoods. * Pray for Holy Spirit anointed believers from the Hainanese people to change their society from within. * Pray for a movement of Jesus to heal and strengthen Hainanese communities. http://www.jones-cambodia.info/Hainanese.htmView Han Chinese, Hainanese in all countries.